LOS ALTOS HILLS, CA: World-renowned tenor, Cantor Jack Ben-Zion Mendelson will be performing his one-man show, The Cantor’s Couch (book by Mark Bieler), a journey through his real life stories growing up in the 1950’s in Borough Park, Brooklyn. 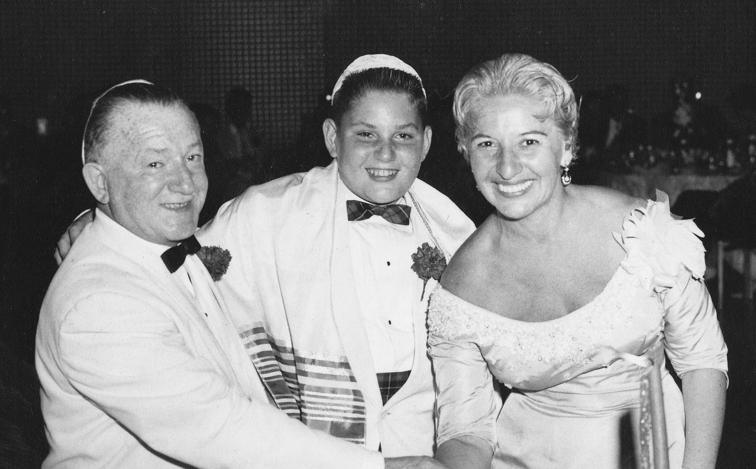 The son of a loving deli owner and an overbearing mother, Cantor Mendelson paints a picture of a bygone day in Jewish America when Jews would flock to synagogue to hear the golden voices of cantors as if it were a concert hall. He recounts a relatable story of a childhood riddled with anxiety and doubt, mixed with joyous memories of music and celebration — all told with the expertise and comic timing of a master storyteller. Cantor Mendelson’s collaborator and accompanist will be Cantor Jonathan Comisar, who wrote original music for this production. The performance will take place at Congregation Beth Am of Los Altos Hills, California on January 31, 2015.